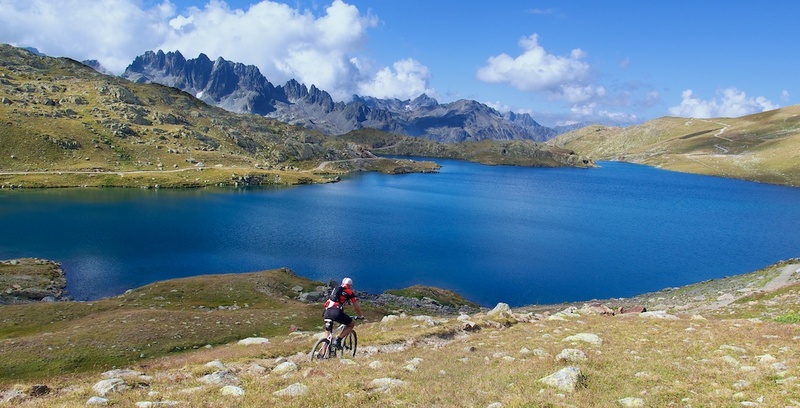 The plan: mountain bike to Col de la Croix de Fer, then explore some unpaved trails above. From St-Jean-de-Maurienne, it is an almost 30 km climb to this huge col. 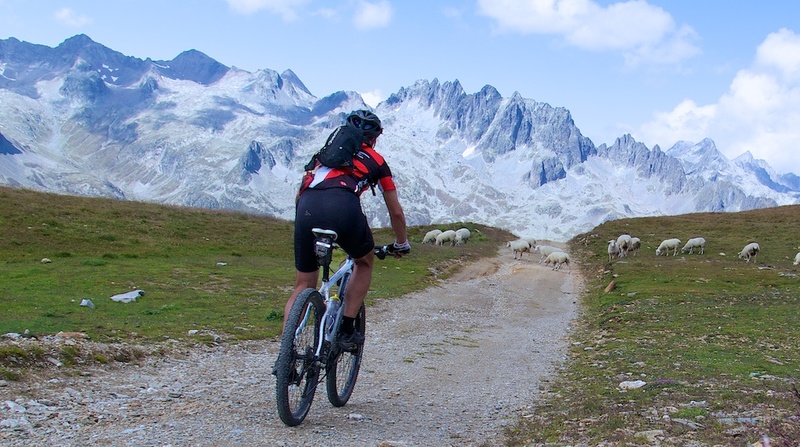 I didn’t want to arrive exhausted at my “start” – so I began only seven kms below Croix de Fer, letting me “warm-up” on the best, final, high altitude, hair-pinned stretch of this great road. At the summit, a couple of dozen cyclists were busy taking col photos and congratulating themselves on a big ride. For me, this was base camp. 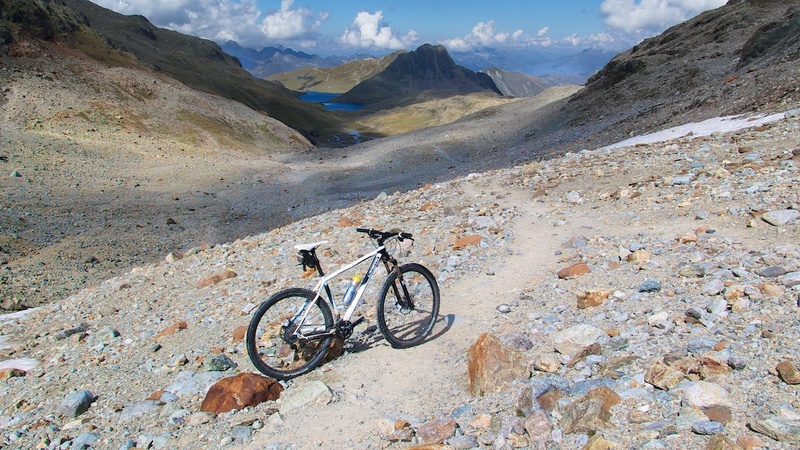 For details on five ways up Col de la Croix de Fer by road bike see here. 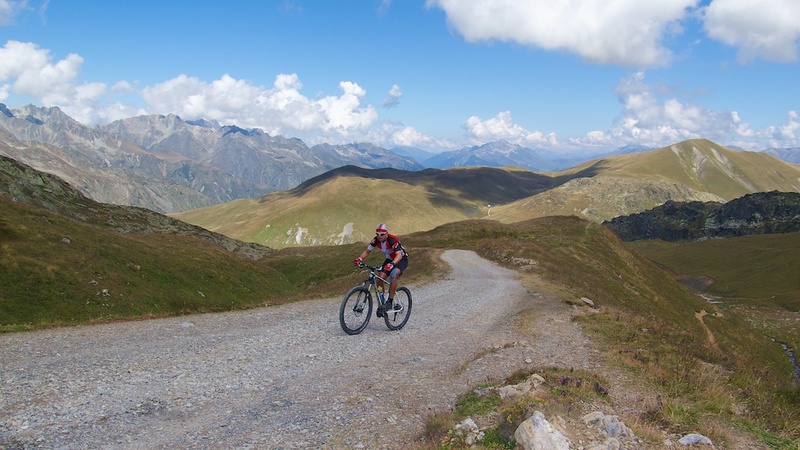 There is a little gravel road/path hidden behind the parking lot of Croix de Fer. Steep, but deserted, save a hiker or two. 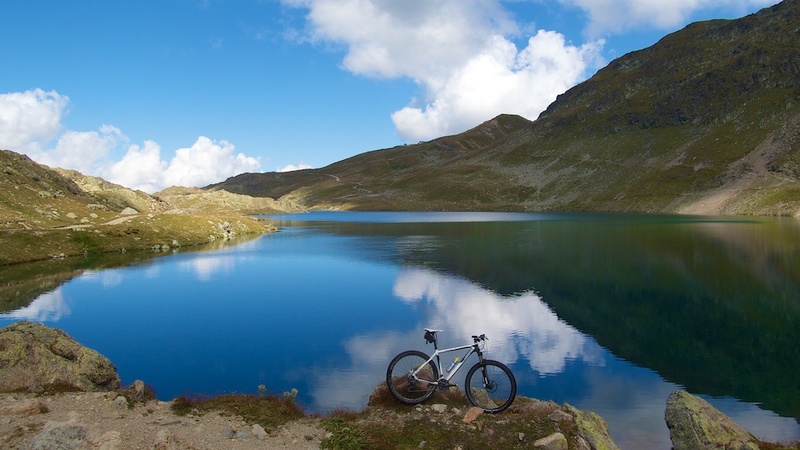 I managed to pedal all the way to Col Nord des Lacs without walking, but often at 6 km/h or so, barely fast enough to stay upright. 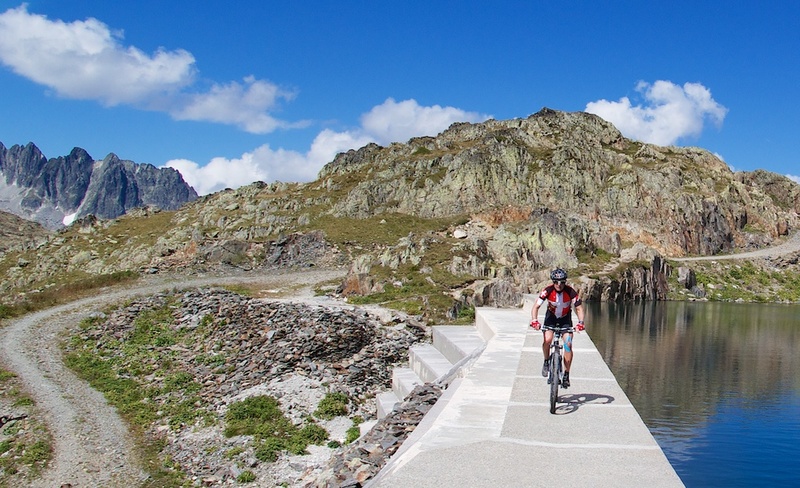 The lowest, lowest road in pic below is the paved road linking Col du Glandon and Col de la Croix de Fer. I finally made it to Col Nord des Lacs at 2533 metres. Spectacular views over the top. 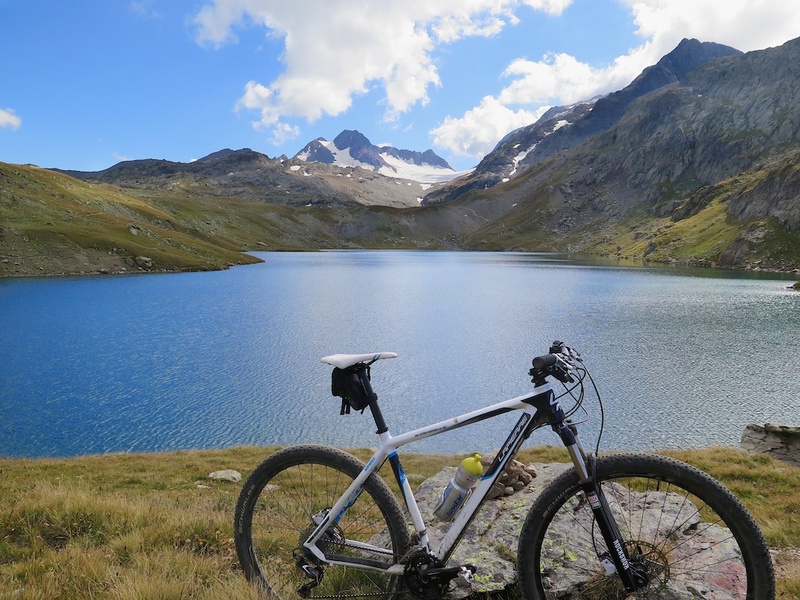 There are two dams/lakes here: Lac Bramant and Lac Blanc. In the far distance you can see the Glacier de St. Sorlin. I began heading back via the other side of the lakes in high spirits. 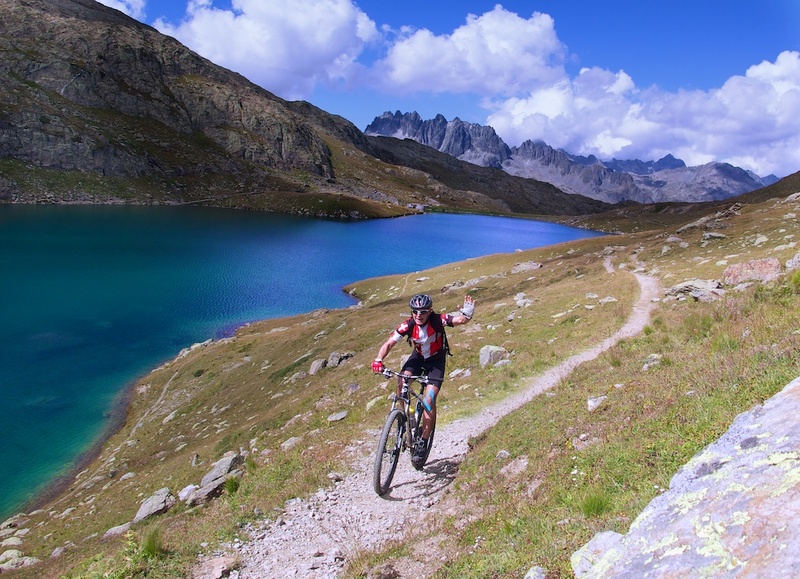 Descending a crazy alternate route down ski slopes from Col Nord des Lacs. Don’t climb in this direction. It is far too steep for too long to be any fun at all. 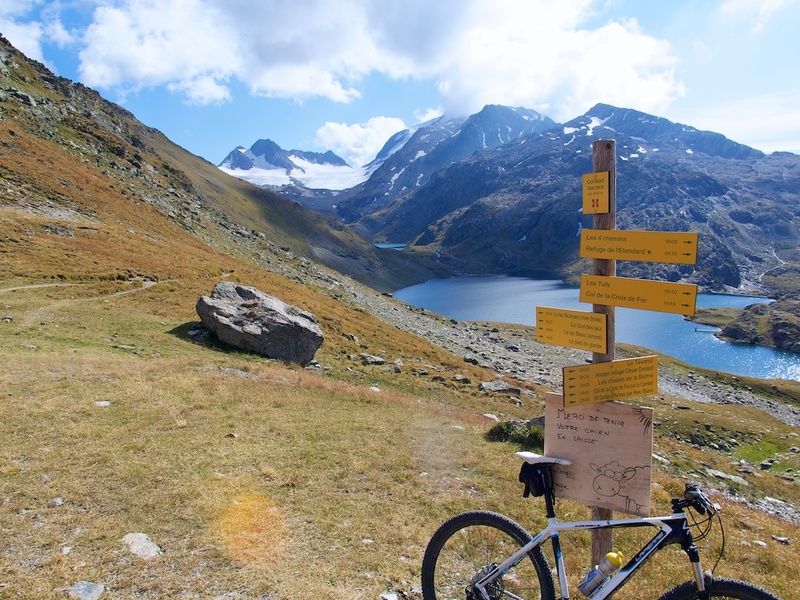 There are a few options down, but I wanted to take route back to Col de la Croix de Fer. From here it is a fast descent back on paved roads. Fun day. Col de la Croix de Fer Ouest? 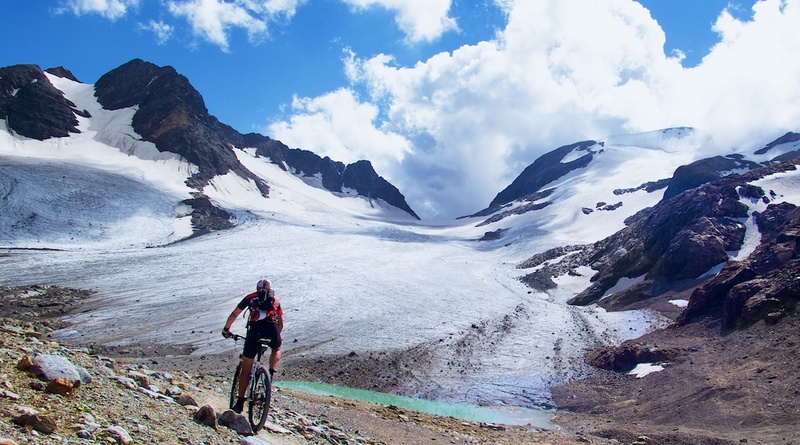 A beautiful, beautiful, mountain bike ride to two lakes and a glacier. Not crazy difficult. David, excellent. Thanks for that.